This week we had to make a trip to Kuwait. 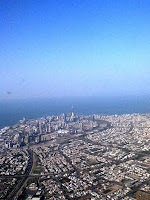 Kuwait City had never made it on my 'places to go in my lifetime' list, but this trip was necessary. When we were in Nova Scotia this summer, we found a great summer cottage that we are in the process of buying. I'll talk more on that later, but in order to get everything ready to close on our house deal, we had to get some papers notarized. Sounds easy enough, but who knew that there is no such thing as a Notary Public (a person who can witness and certify legal documents) in Qatar. We tried everything to get help here... and since there is no Canadian Embassy in Qatar, the process turned out to be quite difficult. We tried lawyers, judges, and both the UK and USA Embassies. We tried to find an active member of the Canadian Military. Sought help from coworkers, friends and neighbours. Sent out emails, visited government offices and made countless phone calls. We had both our financial advisor and lawyer trying to help from Nova Scotia. We really tried every legal angle that we could to get our papers notarized, but no luck. The embassy that serves Canadians living in Qatar is based in Kuwait City. 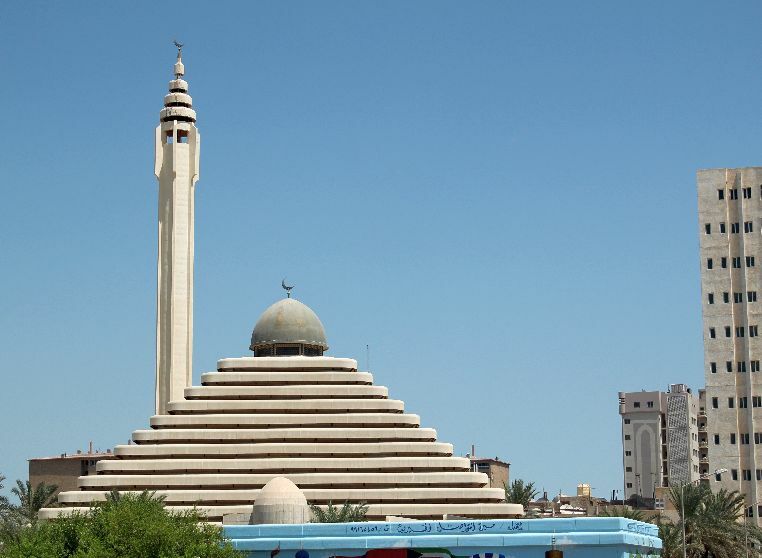 So, on Sunday night, after exhausting all possibilities of finding a legal notary here, we booked three last minute tickets for a day trip to Kuwait. There and back in one day. This should be interesting! I think it would have been a different trip if we had to navigate it on our own, but luck was on our side this week. It turns out that C has a colleague at work that is Kuwaiti. This friend (God bless him) has some serious connections in his hometown. Turns out he & his family are... let's just say... "important" local folks. The night before we leave, he calls C and says "leave the details to me. I will take care of your visit". An intriguing statement, right? Well, we had a great day! The flight was just over an hour, and as soon as we step off the plane, a very official looking man was there to greet us. He zipped us right through customs and the visa process. There were literally over 100 people waiting for visas. Easily saved us an hour or two... can you say awesome? Then we roll outside with this guy to find a very cushy ride waiting for us with our own driver for the day. WHAT? 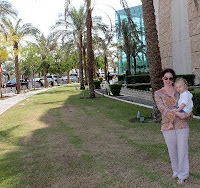 We are taken right to the Canadian Embassy, where we get everything done without any trouble. Sigh of relief. Even though it was a pain to have to travel to get there, seeing and talking to other Canadians is always such a pleasure when you live far away from home. We carried on friendly banter about the weather, hockey, our shared experiences living in the middle east, and our visits "back home" with several of the embassy workers while attending to our business. Our driver waited the whole time! I could get used to this. After business was complete, off we went for a tour of the city. I am surprised at what I see. 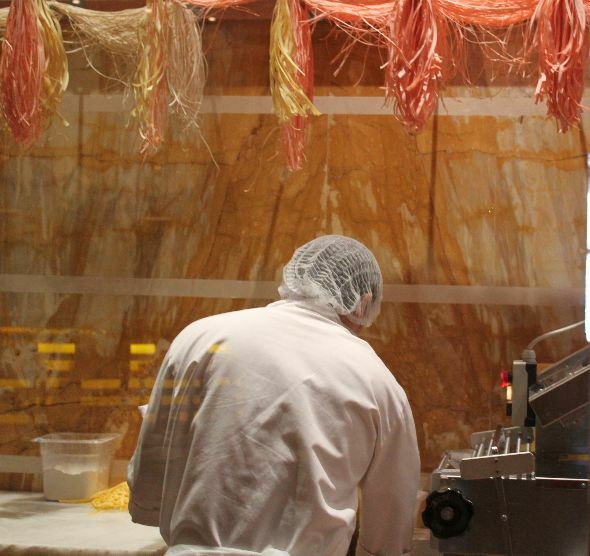 It's a busy, bustling city that spans along the north-east coast of the Arabian Peninsula. 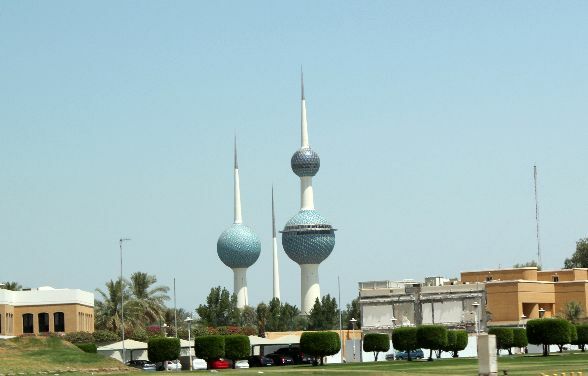 In fact, the word 'kuwait' is derived from the Arabic word 'akwat' meaning 'fortress built near water'. The city appears to me to be much greener, more developed, and a bit less humid than Qatar. Many similarities, but lots of differences too. Driving through the city, you could almost feel it's history - crumbled buildings on the outskirts of town that probably once stood proudly before the Gulf War. We got to see the Dasman Palace, where the Emir of Kuwait lived, and where the Battle of Dasman took place when Iraqi forces invaded Kuwait. A busy and bustling, and 'visually Americanized' downtown core drew our attention and we (I) just had to stop and visit one of the malls. What a place to break out the visa! I wished we had more time to shop. C is happy we didn't. ﻿﻿﻿﻿﻿﻿﻿﻿﻿﻿﻿﻿We were taken to an exceptional Italian restaurant for lunch, where all three of us over-indulged on fresh bread and homemade pasta. Yum. Our day in Kuwait ended with more assistance at the airport. We were 'checked in' by our driver as we waited in the VIP lounge. Seriously. Ella snoozed in her stroller, I sipped on lemonade and read the local paper, and C watched the evening news. If I had known what a great trip was in store for us this Tuesday, I would have pressured C to spend the night and see more of the city. Our flight back was smooth, and Ella got to sleep in her own bed last night. We were all ready for a good sleep after a long day. A busy and successful trip overall. 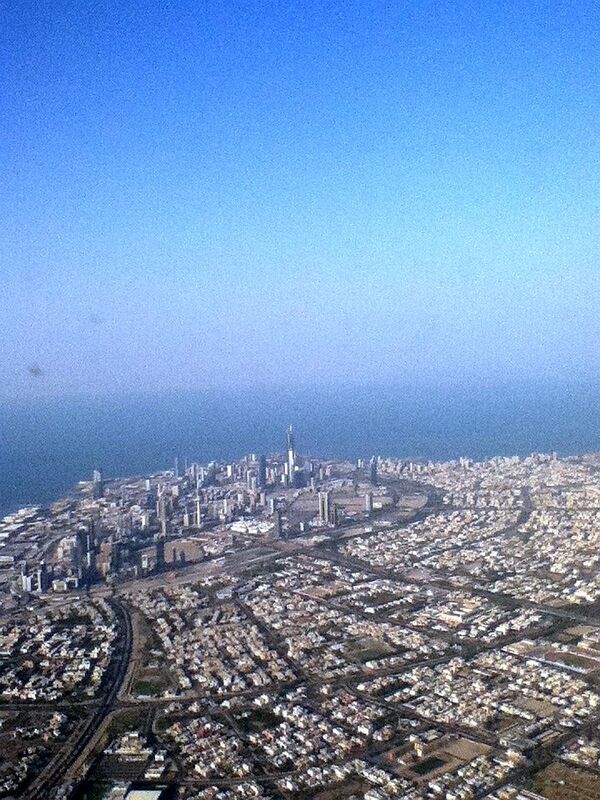 Thanks Kuwait, for treating us so well. Special thanks to C's friend who tried to show us why he loves his city so much. He gave us a day to remember in his favorite place. What a complicated process but how exciting to be buying a holiday home in Nova Scotia. How exciting for you guys to travel to Kuwait and achieve your business. The pictures are great. Keep these interesting blogs coming, I learn so much!! So glad that everything went well, and that you got a mini-holiday just when you needed it most. Sounds like the ideal day trip. Now I want to visit the Canadian embassy in Kuwait!